Gift Certificates may also be purchased using cash or check only at the front desk of the River Bend Athletic Club, 316 Columbia Street in Wakefield. Swedish Massage is a very relaxing and therapeutic style of bodywork. It combines a variety of strokes such as rolling, kneading, and percussion to help the body improve its circulation. 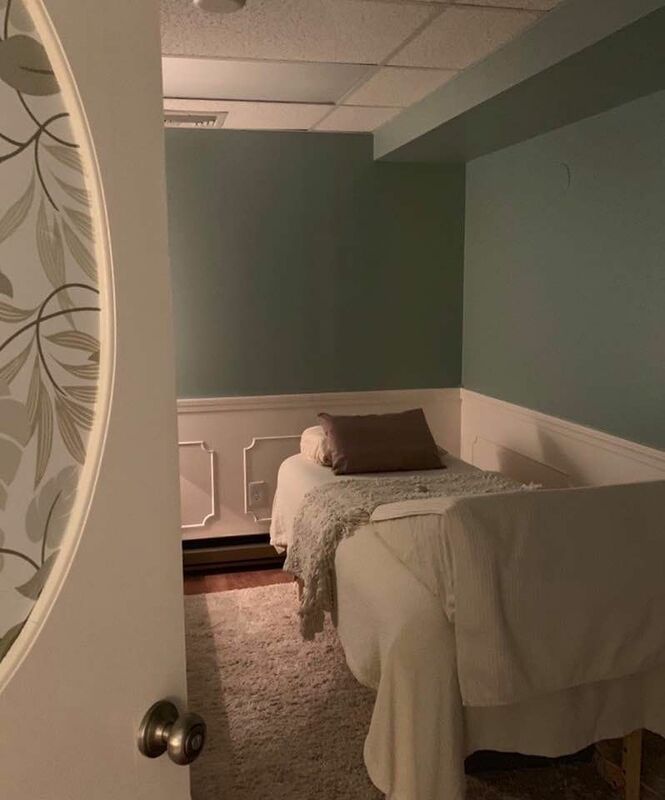 The benefits of this type of bodywork are wide-ranging and include relief from aches and pains, decreased stress levels in the body, enhanced mental clarity, improved appearance, and greater flexibility. Reflexology is a deep relaxation technique that focuses on specific pressure point in the feet. Unlike other foot massages that intend to mostly relieve tension in the feet themselves, reflexology has been used for centuries to aid in healing, restoring and maintaining overall health and well being. Reflexology is a holistic treatment that believes every part of the human body is mapped into your feet. Clients remained fully clothed throughout the treatment except for the socks. This is a maintenance massage for individuals who experience chronic or recurring pain in specific areas (lower-back, neck...). It's a treatment where the focus is on addressing the area of need before it leads to a larger problem. Painful repetitive use injuries (plantar fasciitis, ITB syndrome, tendonitis...) can often be treated or even avoided when caught early. Existing chronic conditions (carpal tunnel syndrome) can be treated to manage and reduce pain and limitations. Sports Massage is a type of massage designed for active people who engage in athletics. Engaging in sports is harsh on the body and can often lead to injuries in both the short and long term. Sports Massage enhances performance and prolongs a sports career by helping to prevent injury, reduce pains and swelling in the body, relax the mind, increase flexibility, and dramatically improve recovery rates. Sports Massage is also highly effective in aiding the rapid recovery of an athlete from an injury by encouraging greater kinesthetic awareness and in turn promoting the body's natural immune function. Come in for a massage with a friend or loved one. Two heated tables are set up and clients receive massages simultaneously in adjoining rooms. Both clients are seen by their own therapist who will customize their treatment based on their requests. Private changing areas are provided for each client. Please call or text to book this service. Oncology Massage is a special type of massage developed specifically for cancer patients. It requires additional training and knowledge of protocols specific to oncology patients. Cancer patients have unique needs which must be addressed to make sure that a massage is beneficial to their health. Please feel free to call with any questions you might have about oncology massage. Stephanie has received advanced training in working with oncology patients. 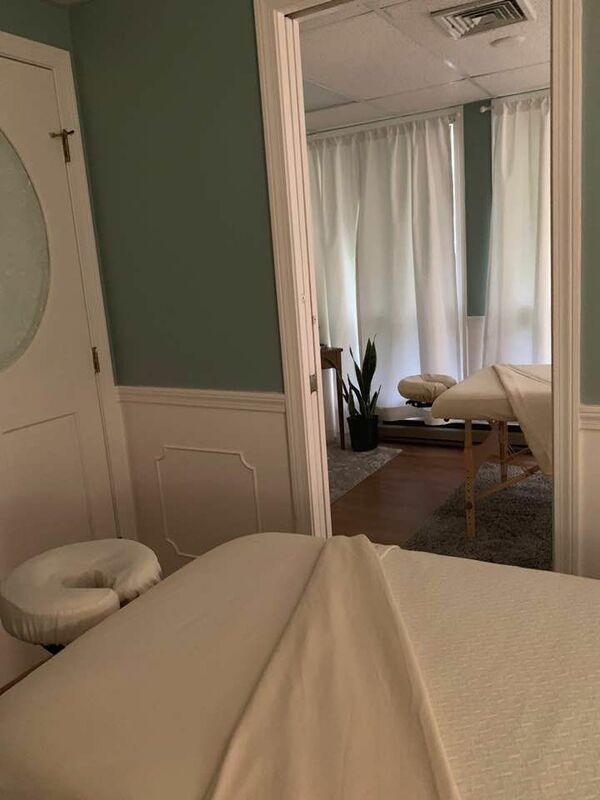 Massage by a properly trained therapist with an understanding of the complexities of cancer including treatments, medications, and their effects on the body systems, have been researched and proven effective in decreasing pain, anxiety, and nausea. Research also indicates that the body is better able to heal itself and deal with trauma while in the relaxed state created by massage. A sliding scale is available for oncology massage as well as home visits. Please call or email with any questions. **Stretching, Trigger Point Therapy and Acupressure can be added into any session as needed at no additional cost.